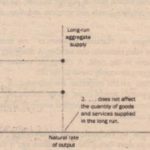 The aggregate-supply curve tells us the total quantity of goods and services that firms produce and sell at any given price level. 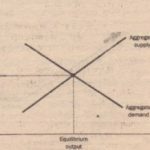 Unlike the aggregate-demand corvette, which is always downward sloping, the aggregate-supply curve shows a relationship that depends crucially on the time horizon examined. 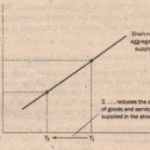 In the long run, the aggregate-supply curve is vertical, whereas in the short run, the aggregate-supply curve is upward sloping. To understand short-run economic fluctuations, and how the short-run behavior of the economy deviates from i~long-run behavior, we need to examine both the long-run aggregate-supply curve and the short-run aggregate-supply curve. I. The Wealth Effect: A lower price Icicle increases real wealth, which encourages spend on consumption. – 2. The Interest-Rate Effect: A lower price level reduce the interest rate, Tillich encourages spending on investment. 3. 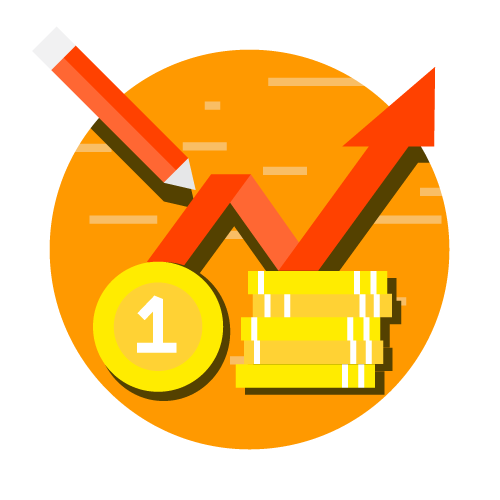 The Exchange-Rate Effect: A lower price level causes the real exchange rate to depreciate, which encourages spending on net exports. 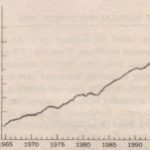 Why Might the Aggregate-Demand Curve Shift? I. 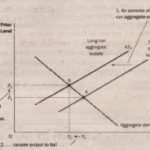 Shifts Arising Consumption: An event that makes consumers spend more at a given price level (a tax cut, a stock-market boom) shifts the aggregate-demand curve to the right. Nn event that make consumers spend less at a given price level (a tax hike, a stock-market decline) shifts the aggregate-demand curve to the left. 2. Shifts Arising Investment: An event that makes firms invest more at a given price (optimism about the future, a fall in orates due to an increase in the money supply) shifts the curve to the right. An event that makes firms invest less at a given price level (pessimism about the future, a rise rates due a decrease in the money supply) shifts the aggregate-demand curve to the left.